The new tax law is a good reason to make sure you get help from an accountant when you file this year. President Donald Trump just signed the 1,100-page Tax and Jobs Act into law today. The legislation repeals part of Obamacare while giving tax cuts to about 80% of households; about 5% of households end up paying more taxes under the new law, and the remaining 15% pay roughly the same as they do under current law. 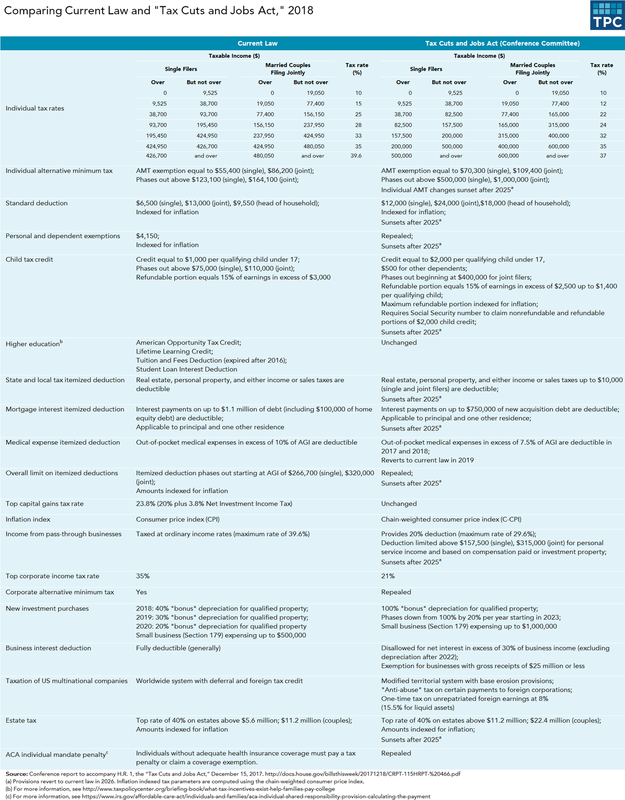 A summary of the changes appears in a table beneath this article. An analysis conducted by the Tax Policy Center (TPC) of the Brookings Institution says that the average household stands to pay about $1,600 less in taxes, a reduction of just over 2%. The middle 20% of taxpayers — that’s based on income — would pay about $900 less than they do under current law. This amounts to a 1.6% reduction in after-tax earnings. 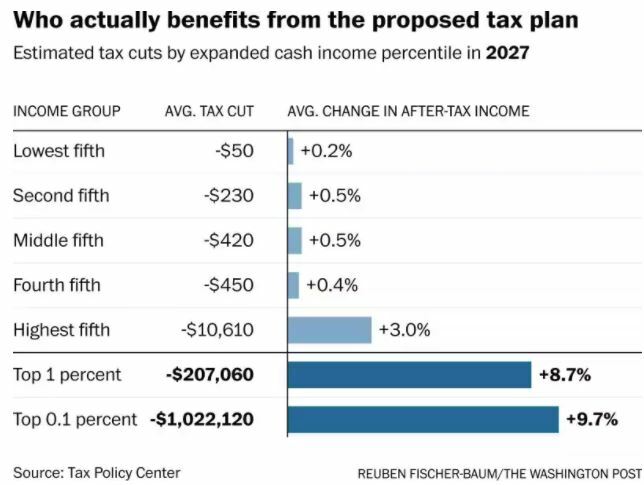 However, about 90% of this segment will actually get a tax cut. Unfortunately, the bottom 20% of the population would see less than half a percentage reduction in their taxes. Some might argue that low-income households are unfairly targeted. But 45% of the lowest income households would pay about the same in taxes that they already do today, according to TPC. However, this is still a rather stark contrast to the very generous tax cuts the wealthy will enjoy. The biggest percentage cut is going to households making $308,000 to $733,000 for the year. Households making $733,000 would enjoy an average tax cut of roughly $50,000 or 3.4% of their after-tax income. Those in the top 0.1%, who make $3.4 million or more, would get an average tax cut of about $190,000, or 2.7% of their after-tax income. A lot of these changes apparently result of one major change to the tax code: The doubling of the standard deduction (the amount of expenses you need to have before you can start itemizing) to just over $12,000 will deter lots of filers from bothering to claim it. Another area of cuts has to do with the repeal of a part of Obamacare — the penalty for not having health insurance goes away. This change comes after open enrollment for 2018 coverage already ended with participation rates almost as high as they were last year. The new tax law also slashes the corporate tax rate down to 20% from the current 36%. And it eliminates the ability to deduct state and local taxes from one’s federal return. The law reduces tax rates for those who file as single, ends the personal exemption, expands the child tax credit and alters the way the tax code is adjusted for inflation, which TPC says would slowly increase taxes on all households. Most of the tax cuts expire after 2025, and by 2027, all but the top 1% of earners would return to paying the same taxes they did before the law changed — at that point, the average tax cut would fall to about $160. Making the cuts temporary is expected to help minimize the effect the law will have on the federal deficit — and that in turn may cause interest rates to rise, which may rein in borrowing. The deficit is expected to go up by $186 billion, a gain of about 13%, and then decline $415 billion by 2037. This fluctuation in the federal deficit is one of many effects that has experts saying the law will significantly change the U.S. economy. However, this is actually a lot less dramatic than previous versions; the rush to get the law passed before the end of the year resulted in a number of provisions not making it into the final legislation, including measures that some considered controversial. Readers, what are your biggest concerns about the new tax legislation?